Theatre Royal Drury Lane is known for hosting big West End musical productions. Public transport is recommended. The nearest tube stations are Covent Garden ( Piccadilly Line), Holborn (Central/ Piccadilly Lines) Charing Cross (Northern/Bakerloo Lines) and Temple (Circle and District Lines). If arriving by train the nearest rail station is Charing Cross Railway Station. However City Thameslink Station and Blackfriars Railway Station are also nearby. The theatre is well serviced by multiple bus stops and lines including the 1, 4, 6, 9, 11, 13, 15, 23, 26, 59, 68 76, 87, 91, 168, 171, 188, 341, and 521 from Aldwych Kingsway (Stop F), Aldywch Somerset House (Stop R) and Royal Court of Justice (Stop P). If driving to the theatre the nearest carparks are located in Bloomsbury Square and Lincoln’ Inn Field. There is also an NCP underground car park in Parker Street. Where is Theatre Royal Drury Lane? 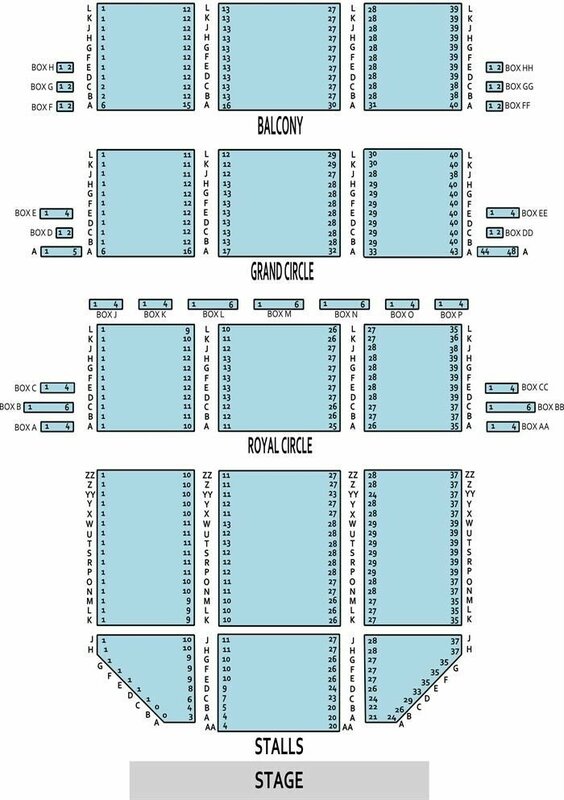 The seating capacity of the Theatre Royal Drury Lane is 2,196 over 4 levels: Stalls, Royal Circle, Grand Circle, and Balcony.